Exterior awnings stop the heat before it even hits your windows! 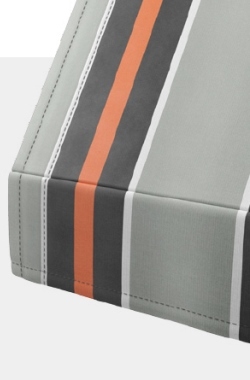 Auto Spring Operated Awnings come in a range of Canvas, Acrylic and Screen fabrics with your choice of headbox colours. Sunscreen, Horizon and Outlook Mode Screens provide sun protection whilst maintaining your view. Choose Mode Privacy for some view but with good weather protection. 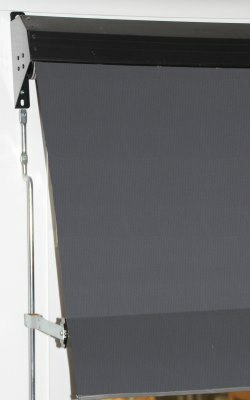 Docral for full weather protection with some filtered light and Canvas for full weather protection and light block out. They come standard with spring loaded operation. Simple to install and easy to use they can roll up completely or stop in any position with their self locking arms. Standard arm projection is 300mms out but you can discuss other sizes with us if you wish to alter the angle. 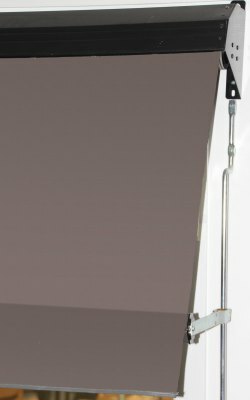 This product can be modified to operate with either crank handle or motorisation but it will change to either a Straight drop or Fixed guide awning. This means it will run straight up or down and may need Hold Down Straps. Please contact us to discuss these options as they may need some explanation. Some extra costs may be involved. 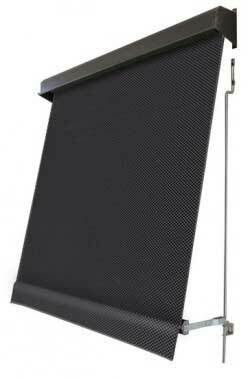 Exterior Blinds are more popular than ever at Blinds on the Net and the range is increasing. Stop the heat before it even hits the glass. 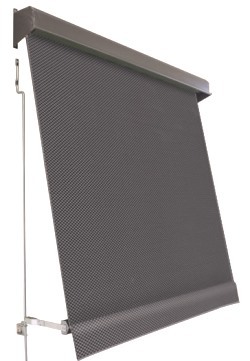 Our practical and stylish outdoor blinds will definitely reduce the heat within your home.